Of all the fascinating and significant aspects of Gluckman’s life and intelligent toil, his beard must be the least important. But my interest in her report centres on a remarkable comment he makes in passing. Hewitson asks about his role as science adviser. Gluckman agrees that he is a kind of translator, his role to understand the scientific process and help the public understand it, making public statements about, for example, climate change. For some reason she asks about climate change. That is not surprising, I hasten to say, for everybody knows he’s a famous medical doctor, not a climate scientist. His position as scientific advisor necessarily has him making public statements on subjects outside his expertise. That’s the way things are. But this public acknowledgement by Prof. Gluckman of his ignorance of climate matters highlights how useless it is to take issue with him on climate change. I must confess that I had forgotten, when discussing Peter Gluckman here and here, that he is not responsible for his utterances on global warming and that if we take issue with what he says, then we would achieve more to raise the points with those who advise him, those who put the words into his mouth. Who are they? They are NIWA and the New Zealand Climate Expert Panel of the Royal Society of New Zealand. There are 11 members on the RS committee; five are from NIWA, two from the International Global Change Institute, University of Waikato, one from the Victoria University of Wellington and three apparently independent scientists. There’s more to be said about these members of an important advisory committee, their commercial links to climate change activism and questions to be asked about their objectivity towards a subject from which they earn their living, but for now I simply emphasise the strong links between NIWA and this committee. Who could argue that, with 45% of the voting power, NIWA and the RS are, at least on climate change, the same? 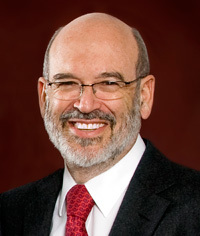 What NIWA believes, Professor Sir Peter Gluckman will, at some point, speak. What Sir Peter says about global warming, NIWA believes. Now we know it for certain, why should we trouble good ol’ Gluckman again? We might as well ignore him and keep on at Wratt, Renwick, Mullan et al. For in talking to them, we’re talking to NIWA, the Royal Society and Dr Gluckman all at the same time. A final thought: Just imagine that those five NIWA members of the RS were climate activists. They have contrived complete control over Royal Society pronouncements and advice to the Government on climate change. Would they not be clever little activists? If anyone suggested new members to replace them on the RS panel, who would be the first to object? “I don’t know anything about climate.” He regards his role as understanding the scientific process and helping the public understand it. So he has failed in his role then. In a lecture at the university’s business school this week, he said New Zealanders needed to reduce their carbon footprint from nearly 20 tonnes of CO2 equivalent per person to two tonnes by 2050. He believed that this was achievable with political will and radical changes in technology, particularly in agriculture. Ten or 15 years from now, those that produce in dirty ways are likely to face trade barriers. I rather suspect that in 10 or 15 years from now, the countries that are currently “demanding” emissions reductions from us will be in need of aid. Exciting news for quake ravaged Cantabrians. TedX Christchurch is coming! Just three years ago, Linh was trained by Al Gore to be a Climate Project presenter and deliver the slideshow behind An Inconvenient Truth. Linh has since presented to thousands of people, and will soon be able to count attendees of TEDxChCh! Earlier this year, Linh was one of 250 international passengers to spend two-months on the Ship of World Youth, an initiative by the Government of Japan to facilitate intercultural exchange. Yes, these numbers are incredible. Not even the Green Party wants reductions of this magnitude from us. But even complete cessation of our emissions won’t be detectable, as they comprise only 0.2% of global anthropogenic emissions, so Stern’s suggestions are ludicrous. Check this out – The Green Climate $windle, a 41 min video contibuted by Fox News and run about 10 days ago. Anyone care to wager that TVNZ or TV3 will run it? I had a response lined up that involved talking to the monkey when one really wishes to talk to the organ grinder but given Sir Peter’s stature in his specialization and frank admission it would be inappropriate. Again, this might be an unfair criticism because “Must know nothing about climate science” may be a key requirement in the Chief Scientific Adviser job description. Michele Hewitson’s probing reminds me of Eloise Gibson’s equally incisive reporting from COP 15. Eloise diligently reported the machinations of the conference steadfastly adhering to the consensus that catastrophic climate change was fait accompli unless lots of money changed hands. So no conflict of interest and we all know that “ghost ” writers don’t travel. I’ll be interested to see if her efforts at COP 15 will be rewarded with a holiday in Cancun – “with the assistance” of her handlers (there’s a poodle analogy there somewhere but I’m not suggesting….). HAHA TVNZ (pro AGW) TV3(pro AGW) how many collapsing iceflows per minute can you fit into a 40 second news bite! When Dr Gluckman makes statements about climate change he is responsible for such utterances. If he doesn’t want to be accountable, why is he being paid ? It’s his job to understand what he announces to NZ. If he doesn’t understand climate change issues then he must delegate statements about climate to those who do – and not falsely add his authority to such statements. It’s hard to argue against that, Paul, although it’s a bit of a murky area, given that the government wants a figurehead, who could never be knowledgeable of everything. I guess one of the reasons we went gently on Gluckman is because his admission of ignorance on climate reinforced that he was being “fed the lines” as it were. Since we know who advises him (Wratt, Renwick, et al.) it makes some sense to argue directly with them and not fashion some kind of dialogue with Gluckman in the middle. Sorry? I missed these “significant roles”. Or is he just beefing up his CV? Yes I’ve seen the importance. Doing my level best to aid the “shifting” with it too. How can decisions be urgent when facts are uncertain and values in dispute in respect to imposing punitive taxes globally on the object of the uncertainty? As in Saddam’s WMD, CO2 is merely a vehicle for a different agenda entirely – but Gluckman’s oblivious to that obviously. When I read his description of PNS, it felt to me a fancy way of describing what most of us would describe as “winging it”. i.e there is an emergency, we need to cut corners and get the job done. I am completely against this. A framework needs to be built, in science and engineering, that can cope with crises, bottlenecks in timeframes etc, without compromising quality, safety or integrity. However, having said that, I have a lot of respect for Ravetz. He acknowledged a lot of the flaws in PNS and climate science, and he also organised the Lisbon workshop on reconciliation in climate science, which Judith Curry and others were involved in. Notice how so called explainers of the AGW syndrome have not acknowledged the coming out as it were of Judith Curry? Extremely inconvenient for the science is settled brigade as one who having been deeply involved with real climate science discovered that like most true scientific endeavours, science is not settled. For if it were to be settled, hordes of those masquerading as scientists would have had no taxpayer funded lifestyles for decades. And the inference that voters are too thick to understand how the AGW is supposed to work, but a medical doctor can, staggers the imagination. I do hope Sir Pete will live a very long life and still have have his faculties in place to explain why no warming of any statistical significance has occurred by 2030 despite huge increases in residual CO2 in the atmosphere.